Yet another engineer’s pumpkin, again courtesy of Evil Mad Science Laboratories. 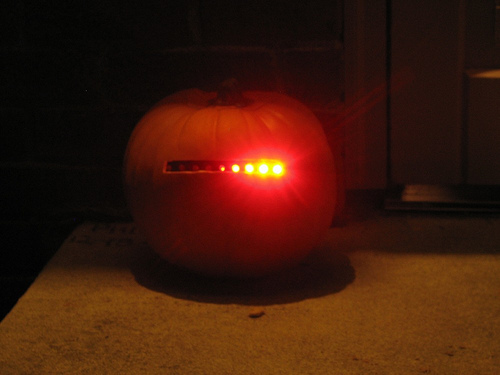 As a bonus, once you build the Larson Scanner kit, or build from scratch using the open source design files, you can turn anything into KITT, not just a pumpkin. Last year’s pumpkin: An Engineer’s Pumpkin.